Do you want to know how to clean cats’ ears? 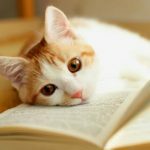 In this article we will give you a complete guide to cat ear care. 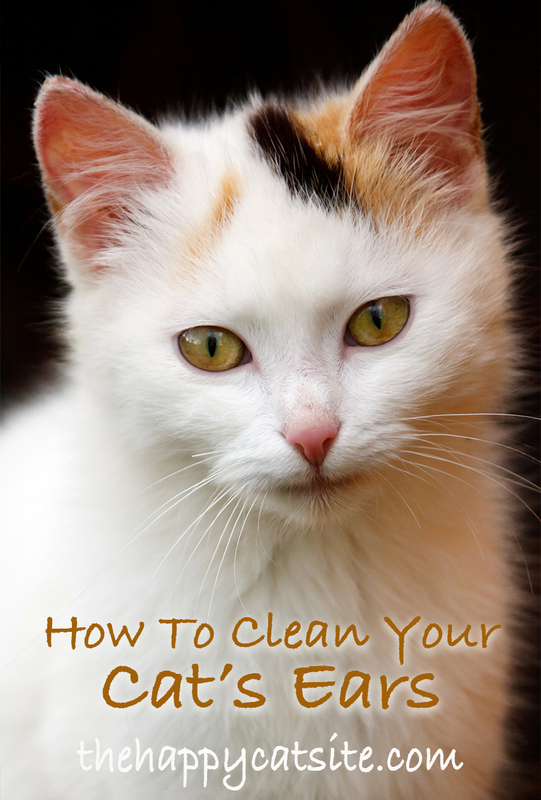 We will give you a step by step guide to cleaning a cat’s ears. From understanding their ear structure, to the right way to keep them healthy. 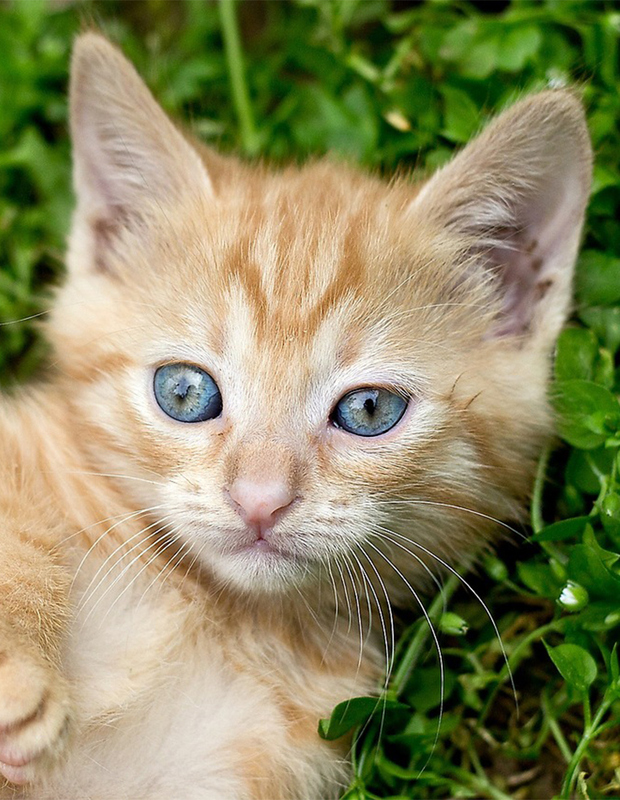 Including our best tips on how to clean a cat’s ears naturally and safely. When cats are first born, they are deaf. It can take up to three weeks for the auditory canal to fully mature so the young kitten can begin to use her ears! Once operational, a cat’s ears are incredibly sensitive.They can hear above and below the range of frequencies you hear. They even hear better than most dogs! As a cat lover, you definitely don’t want to hurt your cat when you clean his ears! This can be easily avoided with a little pre-cleaning cat ear anatomy lesson. 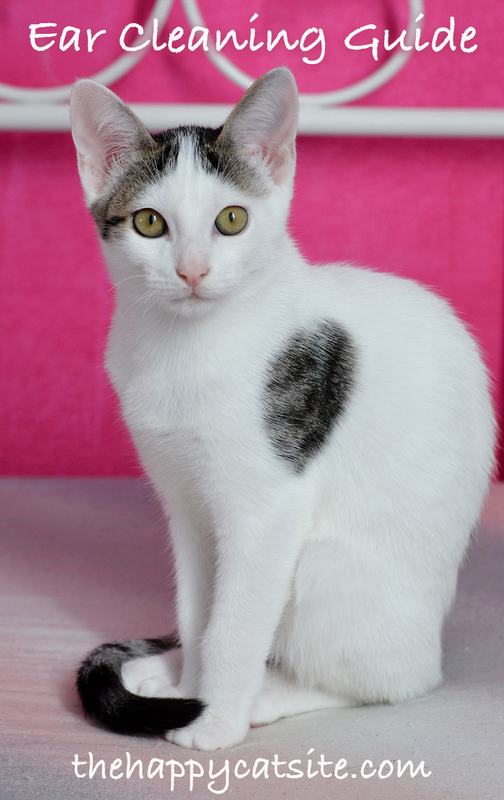 The cat ear has three basic sections: the outer ear, the middle ear and the inner ear. The outer ear has two parts: the pinna and the ear canal. The pinna is the part you probably call “the ear” – it is covered in fur and stands up straight when you open a bag of treats. The ear canal leads into the sensitive protected inner parts. The middle ear has many more parts. It contains the eardrum and three tiny bones that aid in hearing as well as a tube that brings air from the nose to the ears. The inner ear contains the most sensitive parts of all. It is responsible for your cat’s ability to hear and maintain his balance. When your cat does one of his impossible acrobatic feats and lands perfectly on his feet, this is all thanks to the workings of his inner ear. If you begin cleaning your kitten’s ears right away, she will get used to it. If you provide a post-cleaning treat, she will get used to even faster – and may even begin to enjoy the process. However, some cats, especially older adult rescued cats, may get quite nervous when you attempt to touch, inspect or clean their ears. This is why veterinarians sometimes administer light sedation to feline patients who need to have their ears examined or cleaned. 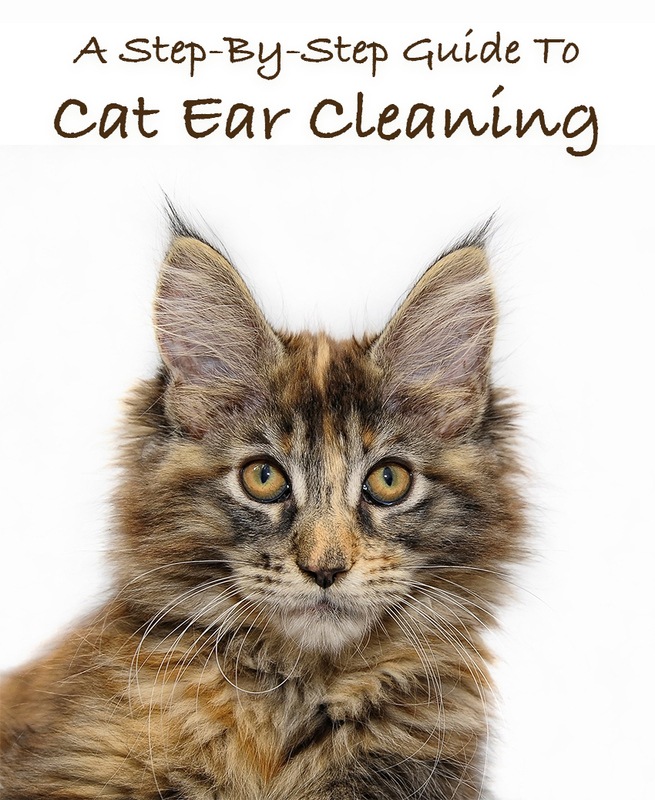 If you try the tips in this post for cleaning a cat’s ears and your cat exhibits fear or resistance, you may want to have your veterinarian clean her ears for her safety and yours. Why do cat ears get dirty sometimes? Cats are so intelligent and so perceptive, it can be easy to forget they like to get down and dirty with nature like other pets! 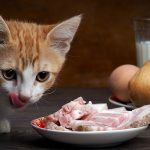 Even if your cat is a true “indoor cat” who never ventures outside, he probably still finds mischief to cook up indoors that can result in dirty ears. At least with your cat, you won’t ever have to navigate cleaning a set of long, floppy ears. 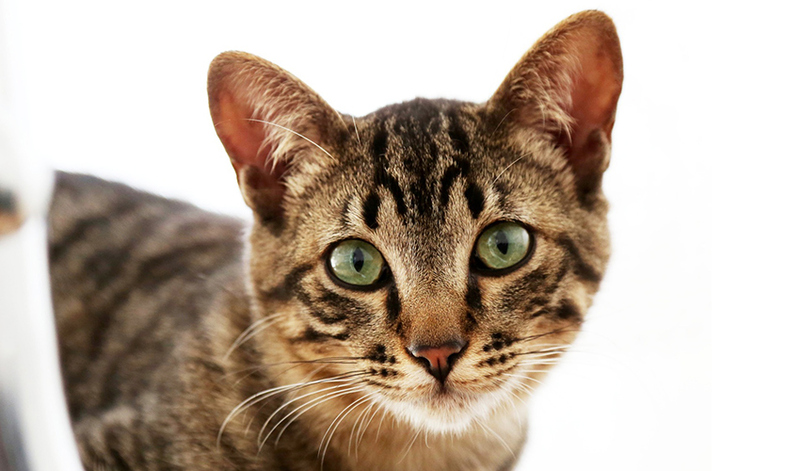 Your cat’s ears are short, perky and easy to reach. 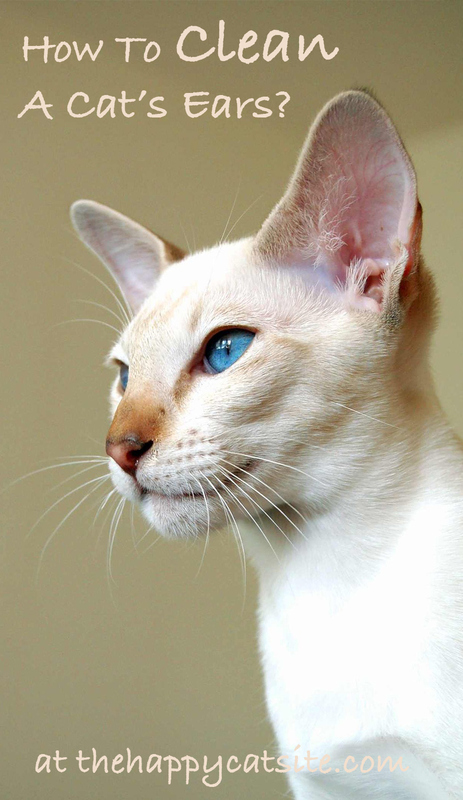 But some cat breeds may produce hairier ears than other breeds. If this applies to your cat, you may want to have his groomer or veterinarian trim away the excess hair before you do the cleaning. Before you begin cleaning your cat’s ears, you should always perform an outer ear visual exam. The reason for this is just to see if anything looks amiss. For instance, if you examine your cat’s ears and you notice any abrasion or swelling, you will want to handle that area with extra gentleness and care during the cleaning session. You can use a small flashlight to look down into the ear canal, but never put any object into your cat’s ears or you risk damaging the sensitive eardrum membrane and inner workings. Also be sure to smell your cat’s ears before you clean them! The more frequently you get in the habit of doing a smell test, the more likely you will be to quickly notice when your cat’s ears smell “off.” This can signal the presence of infection, injury or other health issues. Odd or bad odor coming from the ear canals. Patches of “bald” skin on outer ears. Excessive yawning, head shaking or ear scratching motions. Dry, scaly, crumbly or dark-colored debris (that is not dirt) in ears. Excessive amounts of earwax, which can signal a more serious medical issue such as feline otitis. Visible discomfort on your cat’s part when you touch your cat’s ears. If you find evidence of any of these, make an appointment with your vet for a check up. 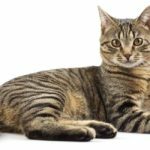 What can I use to clean my cat’s ears? 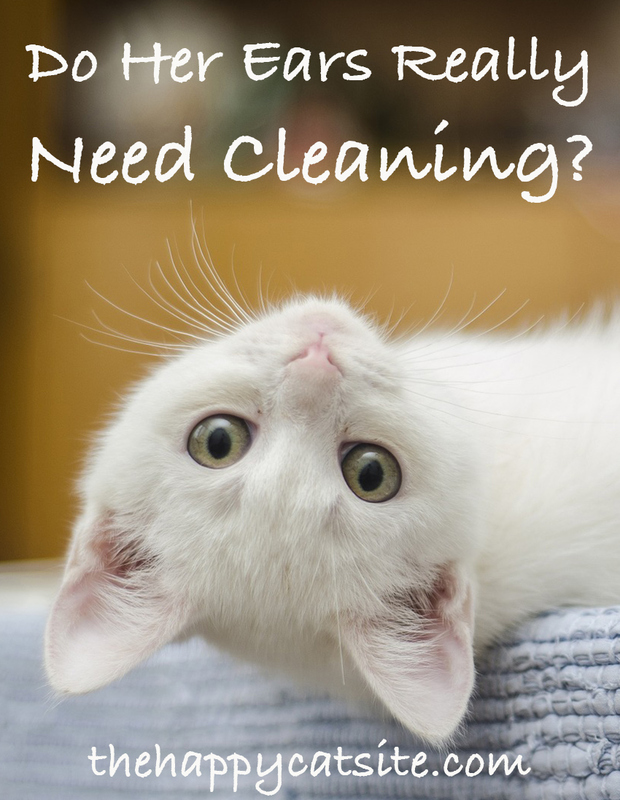 Any of these basic cleaning solutions will work when you are learning how to clean cat’s ears naturally. Warm distilled or purified water. Any liquid solution your veterinarian specifically recommends to clean a cat’s ears. You can use a clean cotton ball or clean soft rag with any of these options. Don’t ever use a cotton Q-tip! Also, never use alcohol, which will sting and irritate the sensitive skin of your kitten’s or cat’s ears. If you want to try a leaning solution that isn’t on this list, the safest course of action is always to ask your veterinarian before proceeding to do the cleaning. The best place to clean your cat’s ears is in a well-lit, quiet, enclosed space. Be sure no other pets are present and that any doors or windows are closed to prevent a timely escape. Also be sure you have all of your supplies for cleaning cat ears assembled and on hand in advance. Most importantly, the more securely you can hold onto your cat, the faster the ear cleaning can proceed. Here, it can be helpful to ask a family member or friend for their help so one of you can hold your cat while the other one cleans her ears. How to clean cats ears? To begin, take a clean cotton ball and get it moist (not sopping wet) with your preferred cleaning solution. Gently fold back your cat’s outer ear and use the moistened cotton ball to wipe out any visible earwax, dirt or debris. Using a second clean, moistened cotton ball, do the same with your cat’s other ear. As you are learning how to clean cat’s ears at home, be sure you never clean further inside the ear than your first finger joint can reach. Also, don’t ever pour any liquid into your cat’s ears. How to clean kittens ears? Kittens, of course, are just tiny cats. But everything on a kitten is smaller, harder to see and potentially more sensitive. Here, the more you can mimic the cleaning attentions of a mama cat, the less jittery your kitten is likely to be. Stroking his fur lengthwise and then beginning to clean him with a soft, damp wash towel is a similar method to how his mother washed him when he was still nursing. This can be very calming – especially if your kitten is having his ears cleaned for the first time! From here, you can follow the instructions for cleaning a cat’s ears. You may need to use half of a cotton ball instead of a whole one. This short video will give you a visual example of the proper method for cleaning cat’s ears. Your cat’s daily habits will dictate your cat ear cleaning schedule. A neat and tidy indoor cat with just a delicate dusting of hair on the outer ears will need ear cleaning less frequently than a fluff-ball tomcat who heads out nightly to patrol his turf. Check your cat’s ears at least once a week to make sure that they are not dirty and appear to be in a healthy condition. You can schedule ear cleanings at the same time as brushing or bathing to minimize any anxiety your cat may feel. 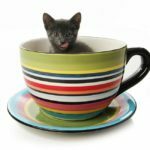 We have looked at the standard method for cleaning cat ears, but now let’s look at how to clean cat ear mites. 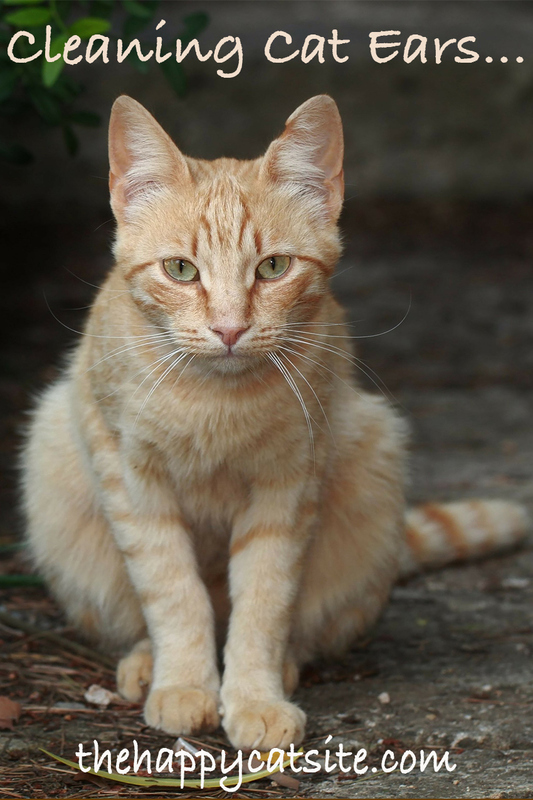 Ear mites are one of the most common medical ear issues for cats. These small black insects cannot fly, but after hitching a ride on a paw, they can easily crawl into your cat’s ears. Mites are very tiny, so they are easy to miss at first. But your cat will let you know about them by rubbing his ears and shaking his head. You may notice swelling or redness on the outer ear, and, in the later stages, a foul odor and oozing waxy pus. You should take your cat to the veterinarian right away if you suspect ear mites. Your vet can culture the mites and recommend the best cleaning solution to ease your cat’s discomfort and ensure the mites do not return. The most common treatment is to use eardrops to clear up the mite infestation. Your vet will show you how to administer the drops at home. Be sure to follow the instructions precisely. Every cat, like every cat owner, is different. 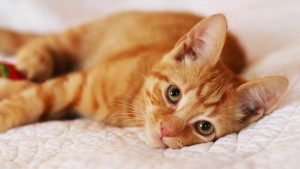 The more you can learn about your cat’s life and past medical history – especially for rescued cats – the better equipped you will be to spot early warning signs of ear pain, infection, mite infestation, injury or other health issues. Just like any new skill, don’t expect yourself to be the “perfect” cat ear cleaner the very first time. You and your cat will have to work out a method that makes you both comfortable. Be patient and persistent and your cat’s ear health will thank you for it! Neer, T.M., Neer, et al, DVM, DACVIM, Ear Structure and Function in Cats, Merck Veterinary Manuals, 2016. Kennis, R.A., DVM, MS, Feline Otitis: Diagnosis and Treatment, Veterinary Clinics: Small Animal Practice, January 2013. 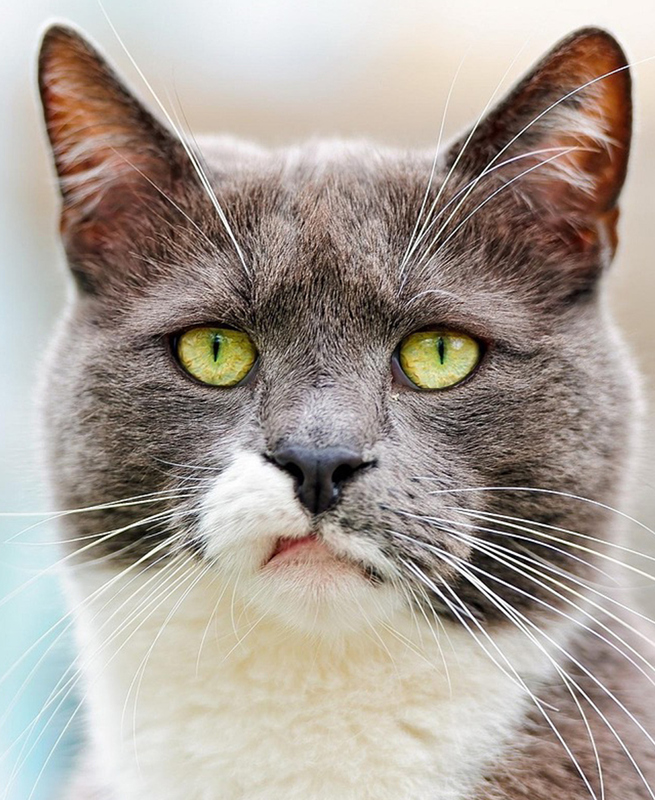 Becker, M., DVM, How to Clean and Medicate Your Cat’s Ears, Vetstreet, October 2014. DiGrazia, M., DVM, How to Clean a Cat’s Ear, New Hyde Park Animal Hospital, March 2013. Miller, Jr., W., DVM, Ear Mites: Tiny Critters That Can Pose a Major Threat, Cornell College of Veterinary Medicine, 2014. My cat is digging his ears could!d he have ear mites. Thanks very much for that, it was most helpful. This article was most helpful. The cleaning solutions listed did not include Sweet Oil, I wander why. My kittens are strays that showed up at my house. Never having cats before I am not sure what to do about them. The shelter cannot take them at this time so I been feeding them. They became infested with fleas and we are working on that at this time. Currently I have five kittens in my house and I have managed to get the fleas off them. They were in pretty bad shape when I got them in the house. Their ears have black matter in them and look pretty dirty. I can’t afford to take all these cats to the vet. I have about twenty more cats outside. I am just trying to save them until a shelter can take them or find homes for them. Sorry to hear this, Heather. We’ll look into it!